We would love to talk with you and answer any questions you may have. Please feel free to call. Of course you are always welcome to stop by and see us. I would personally like to encourage your calls with any questions you may have about building a home in the beautiful Estes Valley. We are happy to look at any lot or existing home that you are considering for construction. 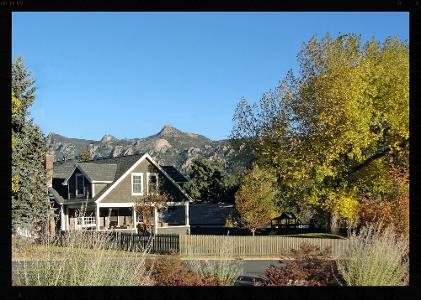 Our experience in working through out the town of Estes Park and in both Larimer and Boulder Counties gives us unmatched insight into considerations that may effect any project you are contemplating. I look forward to helping you in anyway I can. Jeff Moreau moved from the East Coast to Estes Park in 1990. He brought his love of carpentry with him and has been building homes here ever since. During the past 23 years, he spent countless hours working with Bryce Dallman. Together they crafted many wonderful homes and when Bryce decided to retire, he knew Jeff was the one person who could continue his legacy of fine home building in the Estes Valley. While living here, Jeff met his wife and together they have been raising four wonderful children. It has been a passion of theirs to rehabilitate homes, several of which they have lived in, finally settling in at their current house on 4th street. For them, this house, which also includes Jeff's office, has become the family home they intend to live in forever.